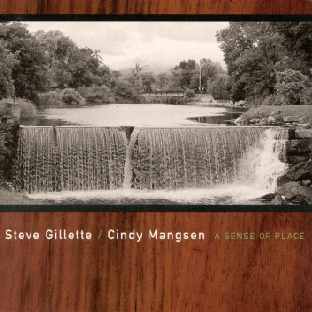 Steve Gillette & Cindy Mangsen "A Sense of Place"
to a musical synesthetic of our life in Vermont. Cindy wrote this song based on a true story related by Bob Copper in his book A Song for Every Season. Bob's recollections of his early years are a treasure (and a great read). The Coppers are a well-known singing family from Sussex, whose songs go back hundreds of years. A peppery Quebecois dance tune complete with feet. We first heard this tune from fiddler Donna Hebert of the group Chanterelle. We encouraged Pete Sutherland to take it in his own direction. A woman and child lost in the trackless woods of Colonial Vermont. On Margaret MacArthur's recording Vermont Ballads & Broadsides, she sings a setting of a poem entitled Margery Grey, written by Julia C. Dorr in the late 19th century. 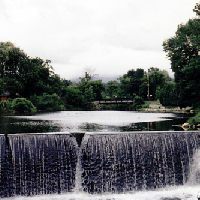 The poem, in Ms. Dorr's words, was "founded on a half a dozen lines that caught my eye in some newspaper, simply stating the fact that a woman of the pioneers, being lost in the woods and unable to cross the Connecticut River, had wandered northward round its source and come down the other side." Steve has rewritten the story, with the poem and Margaret MacArthur's generous help as guides. "Where Are You Going, My Little Boy?" is a song found in Nova Scotia, which Cindy discovered in a book entitled Jongleur Songs of Old Quebec, by Marius Barbeau. Each verse poses a riddle, which the seven-year old boy smartly answers. We've followed the song with Point au Pic, a well-known Quebec tune. An old chesnut, a dreamlike vision of a happy ending. A song from the WWI era, the Long Trail is also Vermont's portion of the Appalachian Trail, which passes within a few miles of our house. Scott Petito: bass on "Traveler"
__Return to Steve & Cindy's Home Page.